Virginia Woolf felt that it was the job of a writer to go beyond ‘the formal railway line of sentence’ and show how people think or dream 'all over the place.’ How does that work when a book like 'Mrs Dalloway' is adapted for the stage? It is a brave writer who adapts Mrs Dalloway. Published in 1925, this is a novel with one dramatic event and minimal plot, set in London during a single day. Mrs Dalloway goes out to buy flowers for her society party that evening, crossing paths with a tormented First World War veteran, Septimus Warren Smith. They never meet, but their stories run parallel through the novel. While the life of the city is mapped in places and cinematic scenes, the characters range through time as their experience of the present recalls memories of their youth. In Mrs Dalloway, the past is not finished, it is vividly alive in the present, constantly triggered and replayed from different perspectives. The fluidity of our experience of time is the essence of the book: ‘the moment of this June morning, on which was the pressure of all the other mornings’. Woolf’s original title was The Hours, which Michael Cunningham used for his own 1998 novel inspired by Mrs Dalloway. The latest writer to tackle the novel is Hal Coase, whose experimental stage production consists of a five-strong ensemble and is currently playing at the Arcola Theatre in London. There have, before this, been two films, a novel, a ballet and an animation. Alongside Orlando, Woolf’s 1928 novel, it has attracted more reinventions than any of her other works. The challenge for any adaptation is this: it is not what happens to the characters that is key, but how they respond within themselves to each moment or encounter. Woolf evokes the very experience of being alive through a ceaseless poetic chain of thoughts, responses and memories as the narrative shifts between the world within and the world outside. In an essay on the novel, Hermione Lee quotes from Woolf’s correspondence with the painter Jacques Raverat while she was writing Mrs Dalloway. Raverat wrote that it was not possible to represent the way our minds respond to an idea or experience in a linear narrative. Woolf responded that it’s the job of a writer to go beyond ‘the formal railway line of sentence’ and to show how people ‘feel or think or dream […] all over the place’. How can an adaptation recreate that effect? Coase and Bailey also reference Woolf’s 1924 essay ‘Mr Bennett and Mrs Brown’ in their production. Woolf wrote the essay while she was writing Mrs Dalloway, and exploring the question of character in the novel. The novelist Arnold Bennett had criticised Woolf’s generation for not creating ‘real, true, convincing characters’. Woolf launched a highly entertaining attack on Bennett and his generation of Edwardians, including H. G. Wells and John Galsworthy. She parodied their depiction of character for what she thought was an over-reliance on material surroundings and not focusing enough on the individual: ‘Their tools are death,’ she said, referring to their literary techniques. Her generation (which included E. M. Forster and James Joyce) had to find their own tools, in the process ‘smashing and and crashing’ what has come before, she wrote. In this context, Mrs Dalloway is a decisive and deliberate break with the past. At the end of ‘Mr Bennett and Mrs Brown’, Woolf asks readers to tolerate ‘the spasmodic, the obscure, the fragmentary, the failure’ to enable what she described as ‘one of the great ages of English literature’ to flourish. Woolf wanted to explore insanity and suicide in this novel, or in her words, to see ‘the world seen by the sane and the insane side by side’. Her depiction of Septimus losing his sanity is thought to have drawn on her own experience of mental illness, and in her notes she wrote that the character was partly based on herself. ‘The mad part tries me so much, making my mind squint so badly that I can hardly face spending the next weeks on it,’ she wrote in her diary. She also wanted to criticise ‘the social system, and to show it at work, at its most intense’. The dramatisation of Woolf’s social satire works particularly well in Coase’s version: the class divide between Mrs Dalloway and her daughter’s tutor, the embittered Doris Kilman; the self-importance of the doctor who attends to Septimus, and whose wife waits in a car and thinks about the ‘wall of gold’ that mounts minute by minute while her husband visits his wealthy patients. While Coase manages to capture Woolf’s humour in his production, Cunningham’s reinvention of Mrs Dalloway in The Hours is far more sombre. The story takes place across three different periods of time: in one, we see Woolf writing her book in Richmond; in another, Laura Brown, an American housewife in the 1940s, is reading Woolf’s novel; and lastly, a character closely modelled on Clarissa Dalloway is now living in New York of the 1990s. Cunningham, more generally, portrays Woolf as an unhappy, isolated figure, marooned in Richmond for her health, fearful of her headaches and the spectre of insanity: the book begins with her suicide. It is a portrait that suits the focus of Cunningham’s novel on mortality. Nicole Kidman’s portrayal of Woolf in Stephen Daldry’s 2002 film adaptation of the novel sticks closely to that characterisation. But this distracted, twitchy version of Woolf lacks the speed of mind and savage comedy that fills her letters and diaries, and may have misleadingly enshrined her as a one-dimensional, depressive character. It is an ironic fate, given that one of Mrs Dalloway’s greatest achievements is to capture the shifting nature of our moods and the impermanence of any state of mind. Although Woolf was indeed frustrated at living in Richmond and appears to have had an episode of instability when she attempted to flee to London (which is included in Cunningham’s novel), her diary, even at the time, reveals her wit and engagement with life. She resents being in ‘the suburbs’, longing to go ‘adventuring among human beings’ in London and craves the stimulation of her friends’ company – ‘then ideas leap in me’. When she meets her friends and socialises, she mercilessly caricatures these encounters in her notes of conversations, including one between T. S. Eliot and his wife Vivienne at Sunday tea (‘Put brandy in your tea, Vivien [sic]’/’No, no, Tom’/’Yes. You must.’). Woolf tells Eliot that she is typesetting The Waste Land for publication by the Hogarth Press which she ran with her husband (‘a d——d good poem’) and cruelly notes that Vivienne (another famously unstable Bloomsbury figure and similarly immortalised in a play and a film) is ‘very nervous, very spotty, much powdered, her first drive, overdressed, perhaps’. While the consciousness of mortality in Cunningham’s novel also haunts Mrs Dalloway, the sheer joy of being alive repeatedly interrupts the characters’ moments of despondency. In one passage, Mrs Dalloway experiences an instance of intense happiness, just hearing the cook whistling and the click of the typewriter (‘moments like this are buds on the tree of life’). A moment later, she hears that she has been excluded from an invitation to lunch and sinks into a reverie of despair (‘year by year her share was sliced’). Her memory of her girlhood love for her friend Sally then restores her to a state where she no longer feels old and plunges her back into life again. No adaptation has yet been able to capture this repeating cycle of shadow and light in Woolf’s novel. Coase admits that he still thinks of the novel as ‘unadaptable’, although he offers up an innovative attempt to do so. Woolf herself might have been suspicious of stagings, and may not have expected the character of Mrs Dalloway to continue to live beyond her novel. But she might just have understood the desire to recreate a day in the life of Clarissa Dalloway in another form. Jo Glanville is a writer, journalist and campaigner for human rights. 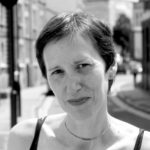 She has written for the London Review of Books, the TLS, the Guardian, the Independent and the Bookseller, amongst other publications. She is the former director of English PEN, an award-winning editor of Index on Censorship and a news and documentary producer at the BBC. She is currently a visiting fellow at Giessen University.